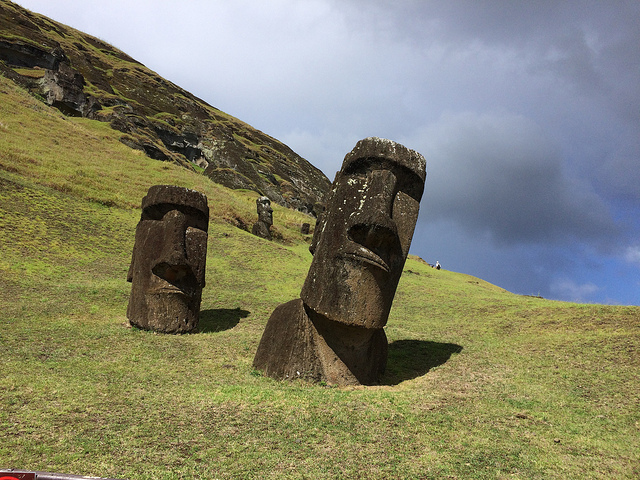 HANGA ROA, Chile, Feb 14 2019 (IPS) - Social activists and local authorities in Rapa Nui or Easter Island are calling for urgent action to address rising sea temperatures, declining rainfall, and rising tides that threaten their fishing resources and their Moais, the mysterious volcanic stone monoliths. On this island in the Polynesia region of the Pacific Ocean, 3,800 kilometers from the coast of Chile, to which it belongs, the effects of climate change are already evident. 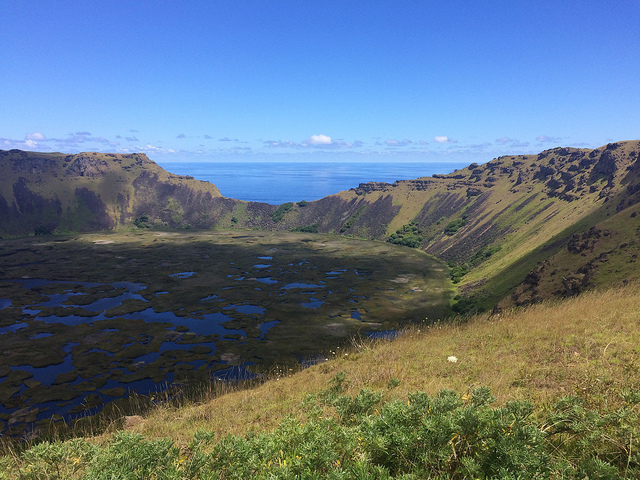 Ludovic Burws, a teacher at the Hanga Roa Educational Village, the island’s primary and secondary school, says that with “rising water temperatures some corals are beginning to bleach” on the shores of Rapa Nui. “You look at the island and now (in February) it should be yellow, but it’s green. There is a seasonal lag. It’s raining more at a time when it shouldn’t be. The rains are heavier, shorter and very intense, causing erosion that reaches the sea and covers the corals,” he told IPS. “The temperature has risen, but mixed with the garbage, a new algae has been generated at a depth of 80 meters (still under study), which begins to grow and eat the coral,” said Burws, who is also a technical advisor to the organisation Te Mau o te Vaikava o Rapa Nui (Rapa Nui Ocean Round Table). The Round Table is a collective of 22 representatives of various organisations that has been operating since 2014, with the aim of monitoring the problems associated with the marine environment of this 164-sq-km island that is home 8,000 permanent inhabitants, mainly native Rapa Nui people. Other damage caused by the rise in temperature is the near disappearance of auke, an endemic algae “that used to be very abundant,” Burws said. “Today they’re catching small tunas. We have names for each species and each size. The one being fished is called an auhohu which is a 40-centimeter tuna, a baby tuna. Because in our waters the tuna lay their eggs, hatch, grow up and then migrate,” he said. “I want to repopulate my sea,” stressed the mayor. “Our sea has suffered and is suffering from global warming; the temperature is five to six degrees above what it should normally be,” he said with alarm. To repopulate the sea, Edmunds is promoting an agreement with Chile’s Universidad del Norte (Northern University), which has a station for the study, development and reproduction of species ranging from algae to blue fish such as tuna, swordfish and others. The mayor is also concerned about the depletion of corals, which “are accustomed to a certain temperature…Killing corals kills species that are born from them, because corals are life that embraces other lives and from there the chain is created from the least to the greatest,” he explained. “We are going to have a great shortage of water resources and our heritage is going to be heavily affected by the rise in sea level and the tidal waves,” attorney Tiare Aguilera Hey, who works on urban and territorial planning, told IPS. 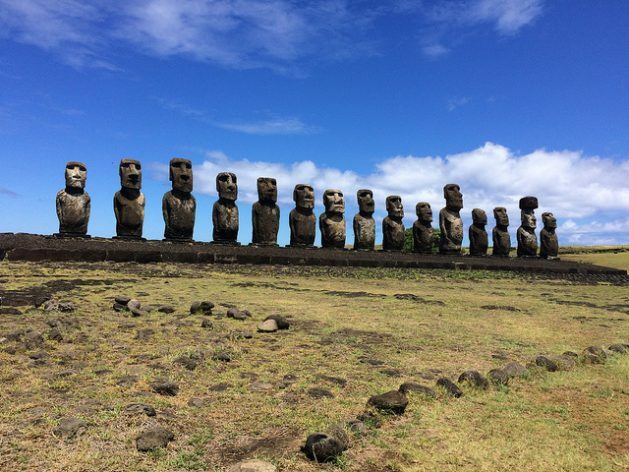 This heritage includes the Moais, the gigantic, mythical volcanic statues that are unique to Rapa Nui, and the Ahus or ceremonial stone altars, put on the World Heritage list by UNESCO in 1995. This heritage “is concentrated mainly in coastal areas,” she explained. In addition, “rainfall will decrease and, therefore, erosion, acidification and a series of consequences that will be detrimental to agriculture and fishing, mainly,” said Aguilera Hey. Aguilera is originally from the island, to which she returned in 2013 after studying in Spain and China. Since then, she has advised the Easter Island Development Commission, an indigenous Rapa Nui decision-making body. The Motu Motiro Hiva marine park will contribute to improving the situation of the marine environment. The park was created by decree in February 2018, along with the Sea Council, which is responsible for its management and is drawing up a plan that should be ready in August. The 150,000-sq-km park is part of Easter Island’s Multiple-Use Protected Coastal Marine Area, which was established in June 2018, covering 720,000 square kilometres, making it the largest of its kind in Latin America. On Jun. 29, 2018, the 11 members of the Sea Council, chaired by Easter Island Governor Laura Terita Alarcón Rapu, were elected. In accordance with the statute that created it, six of its members are indigenous Rapa Nui people and were elected by their community using a traditional system. “But to truly manage (the park), some eight billion pesos (12.3 million dollars) are needed, and in the country’s 2019 budget no more than 300 million are allocated,” said Burws, based on estimates from non-governmental organisations. The new marine park joins the Rapa Nui park, created in 1996 and whose administration was handed over by the government to the Ma’u Henua Indigenous Community in 2016. It covers 40 percent of Easter Island’s territory and is home to the Moai human statues, which are between one and 10 metres tall and are carved from solidified volcanic ash, and Ahus or ceremonial altars – the main attraction for the 120,000 tourists who visit the island annually. Aguilera pointed out that under the administration of the local indigenous community, the park “has reinvented itself.” Among the new actions, “a climate change department was created to study the wetlands, where the level of freshwater has declined considerably, and reforestation has pushed forward,” she said. “At a local level, many initiatives are being taken by various institutions that have taken the lead on climate change,” she said. 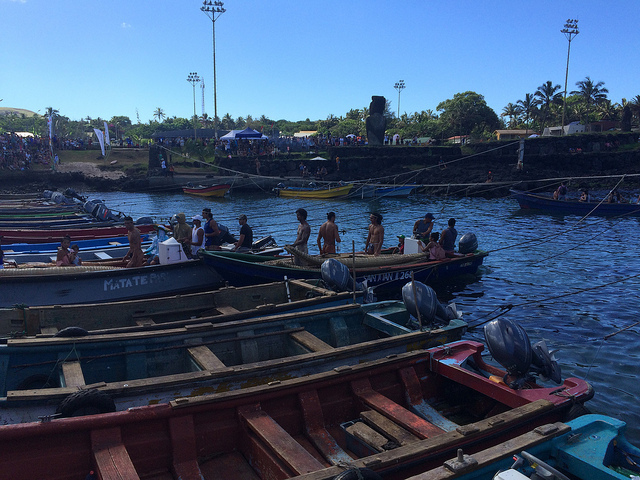 Among the positive environmental measures that emerged in Rapa Nui, Aguilera also cited several promoted by the mayor’s office, such as a major recycling campaign, an annual cultural and sports festival called Tapati, actions to reduce the use of plastic bags and light bulbs, and the creation of a public transportation system.